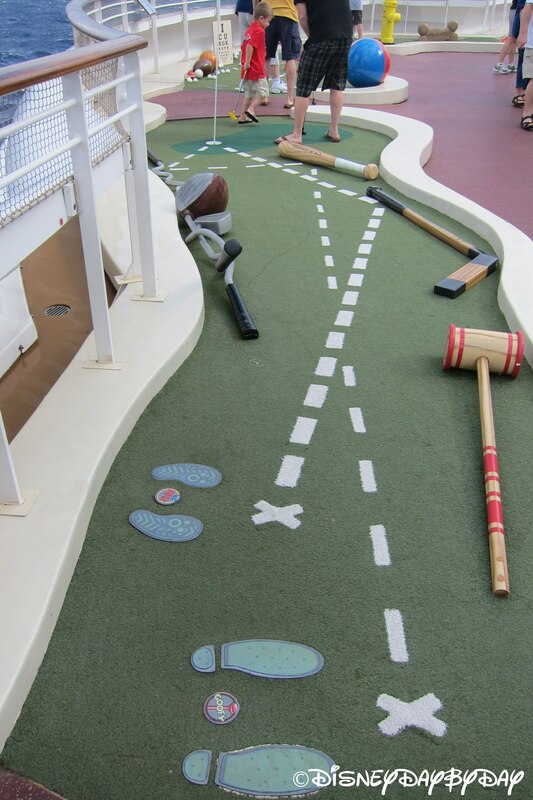 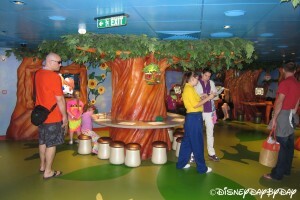 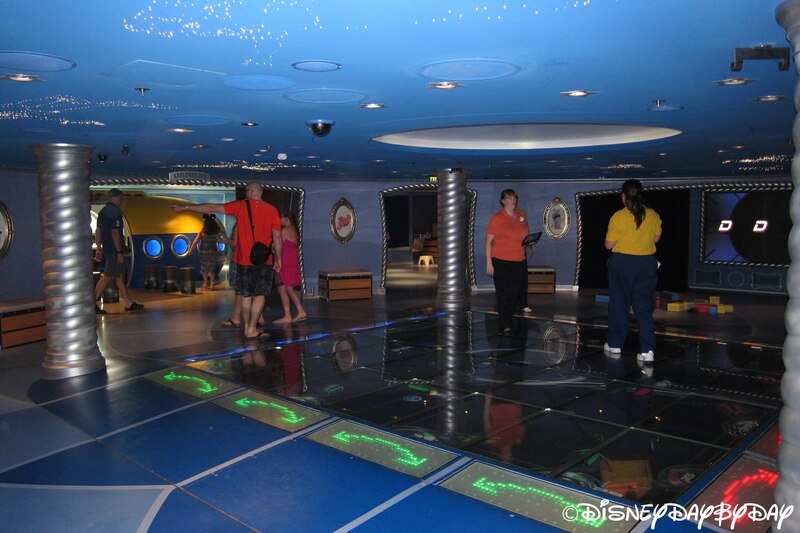 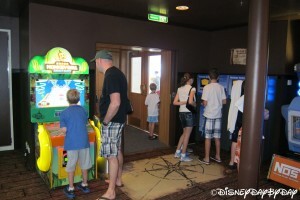 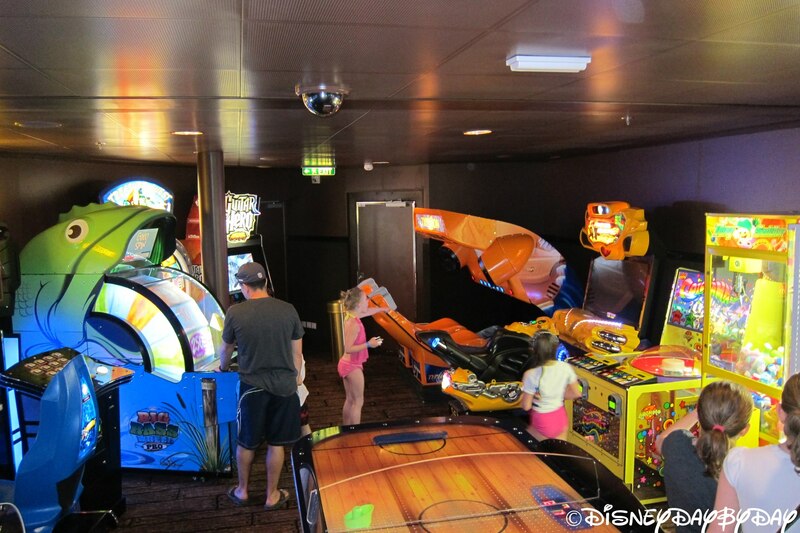 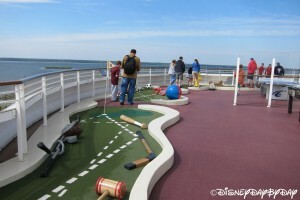 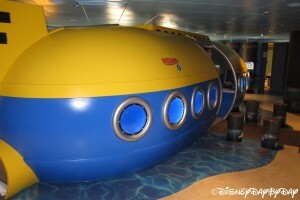 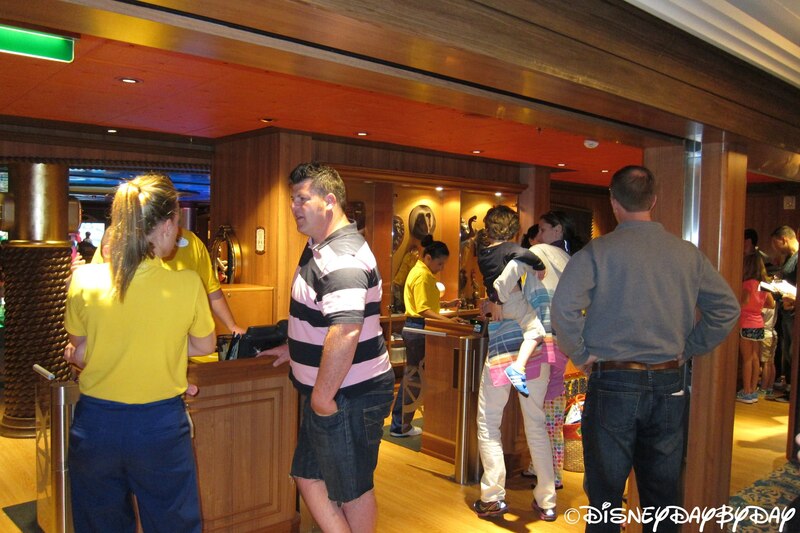 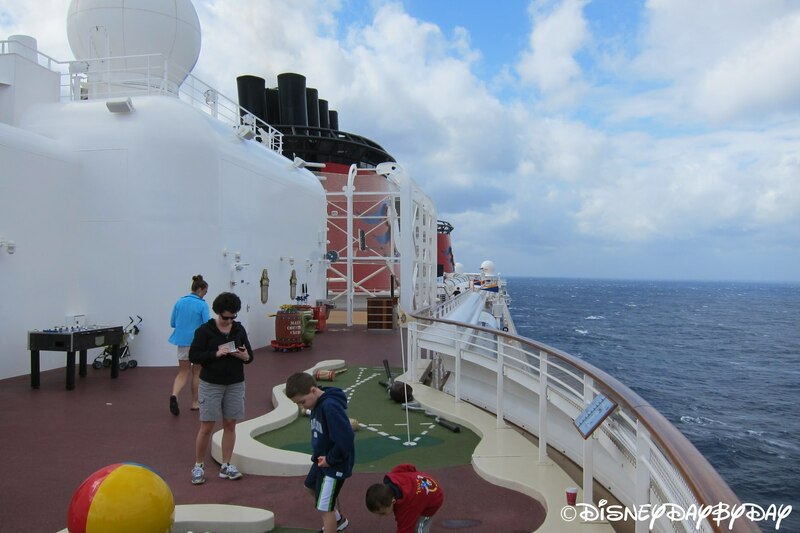 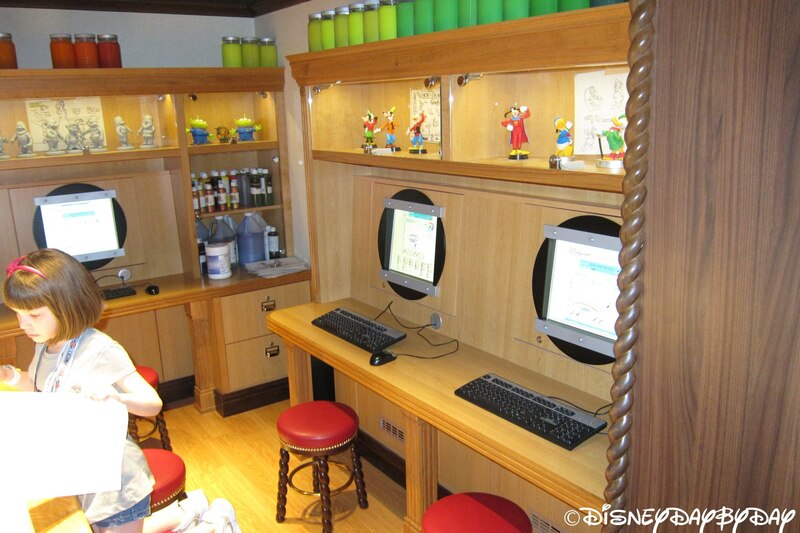 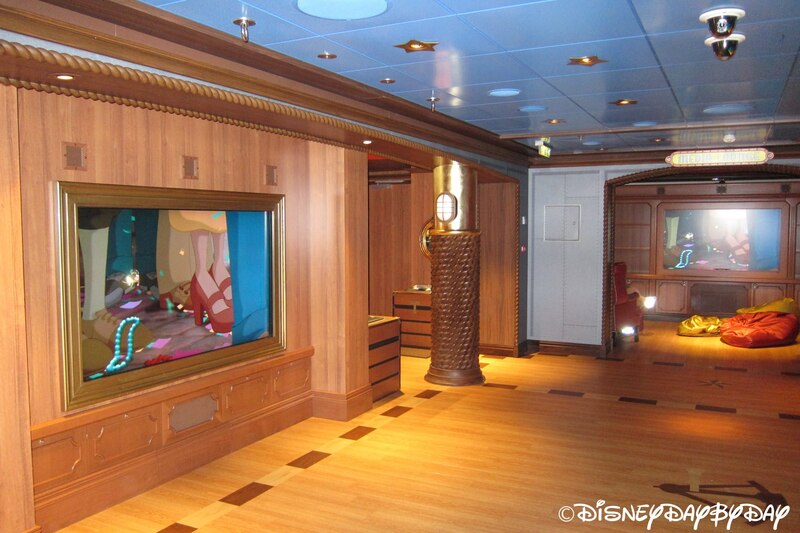 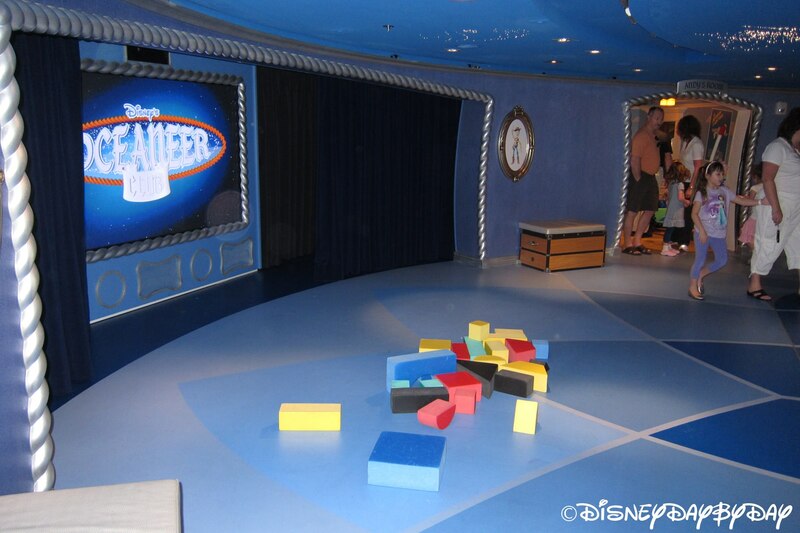 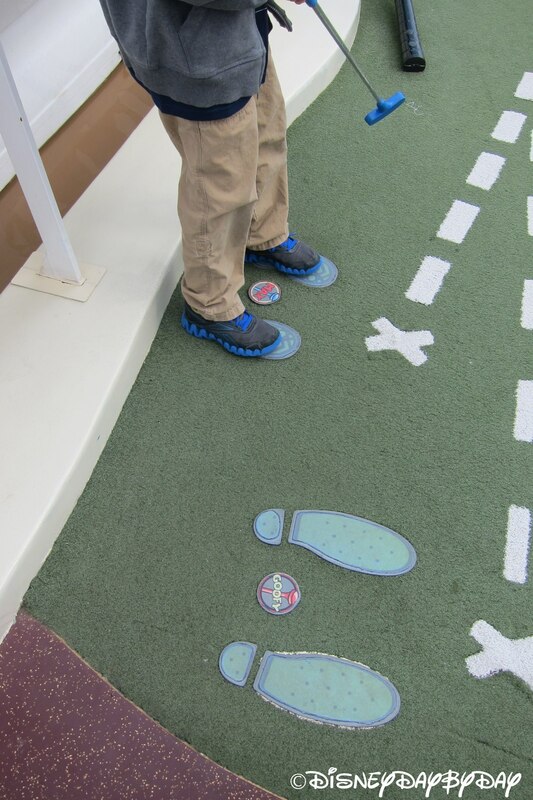 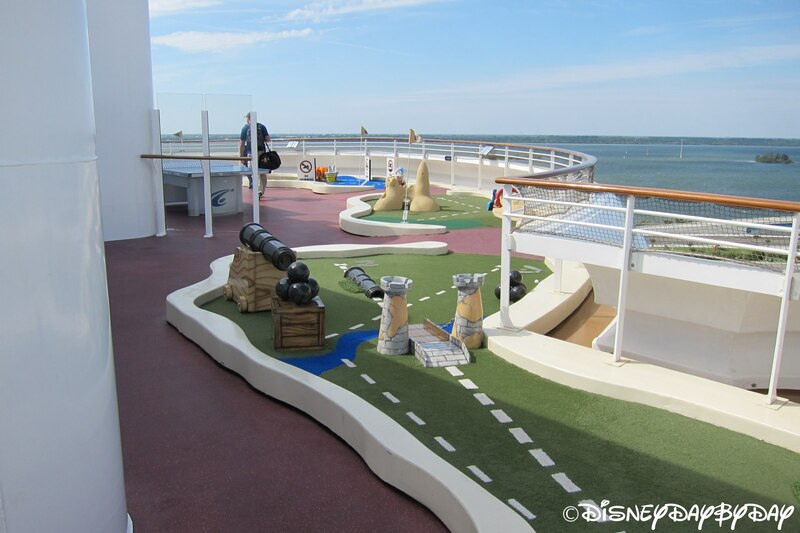 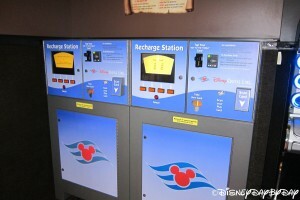 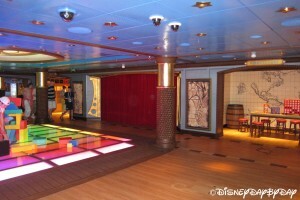 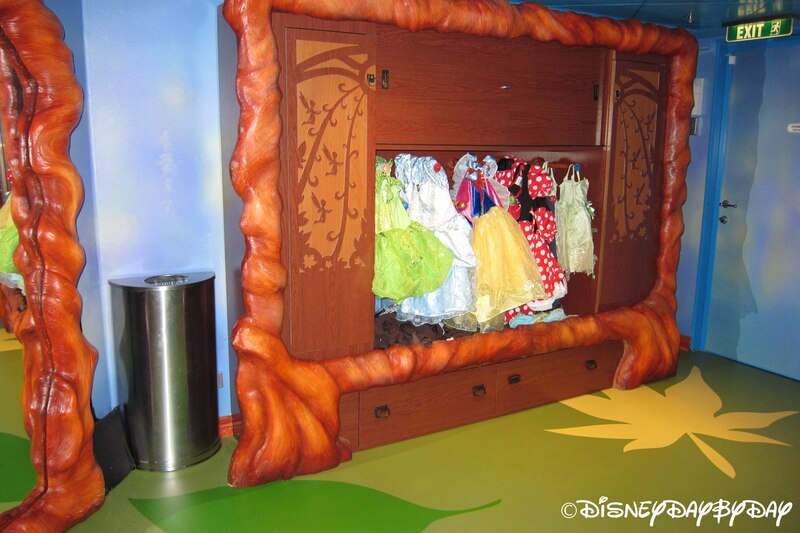 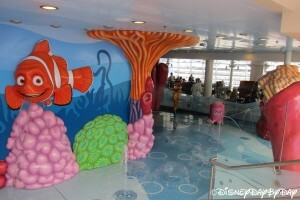 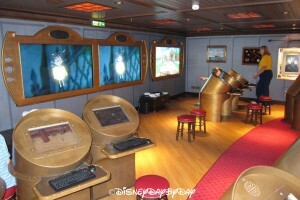 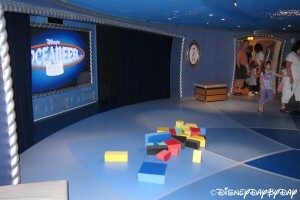 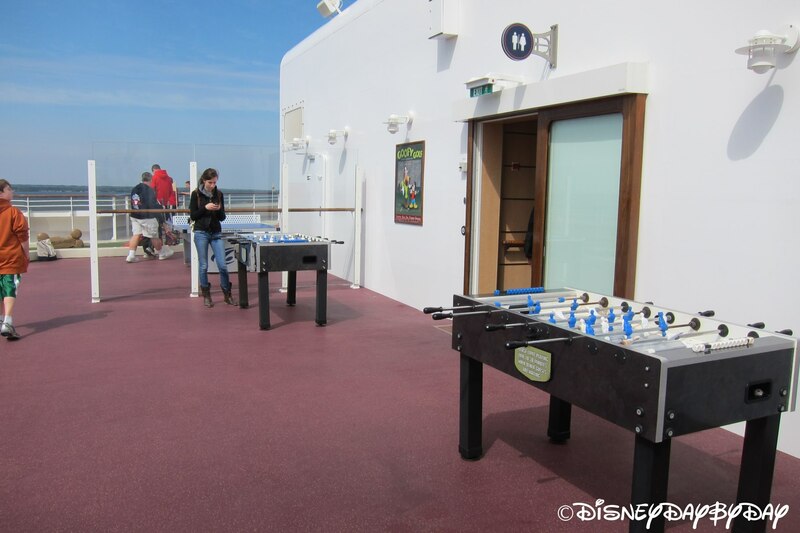 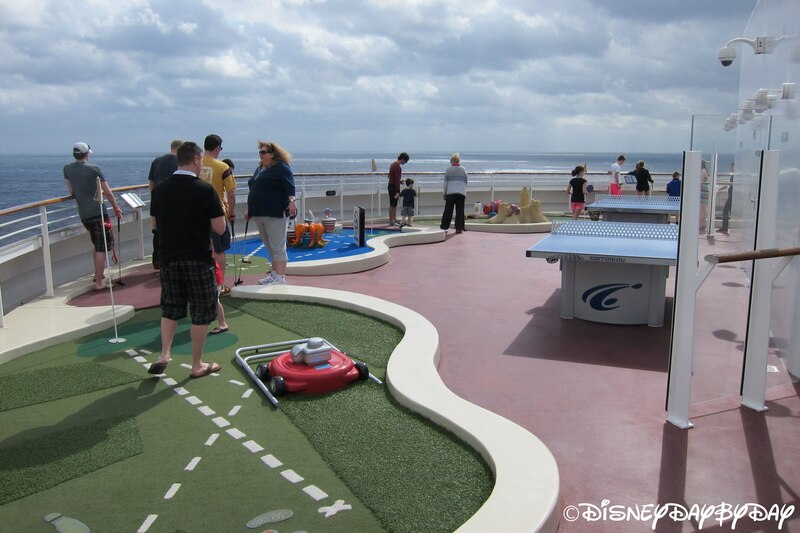 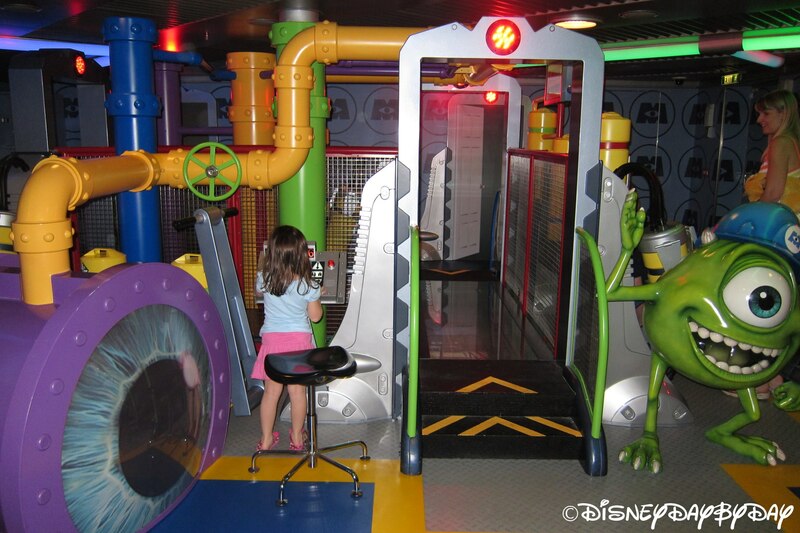 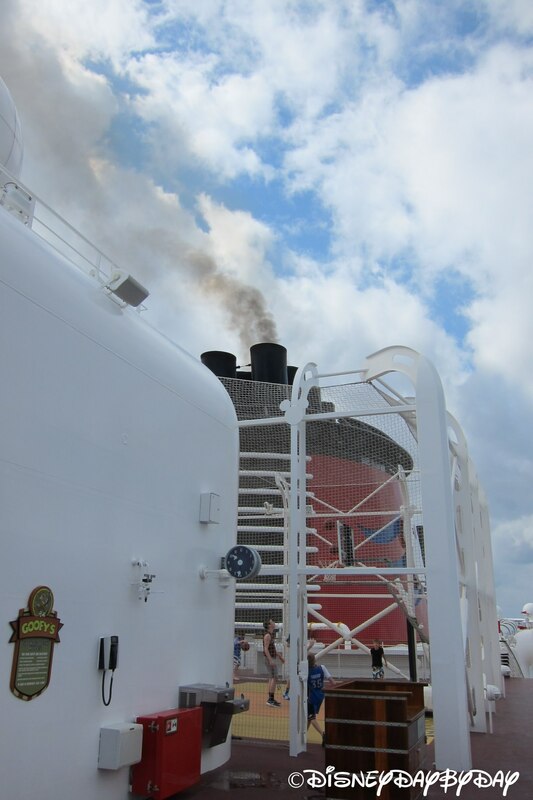 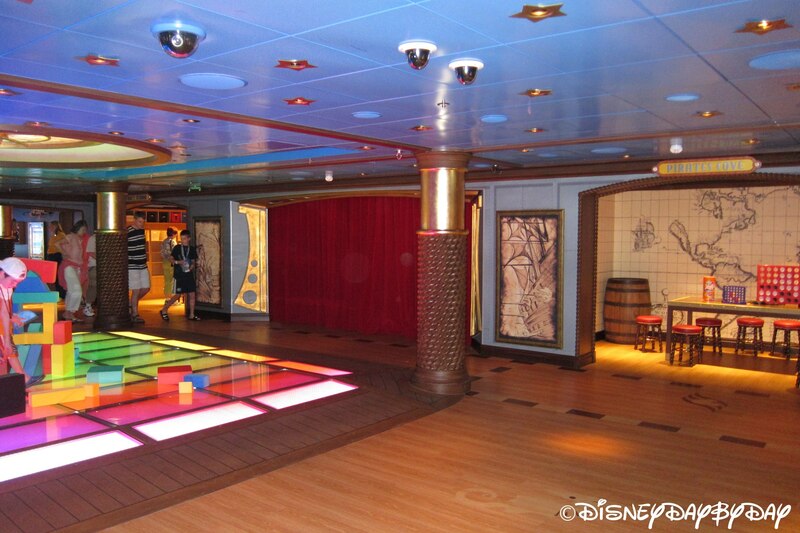 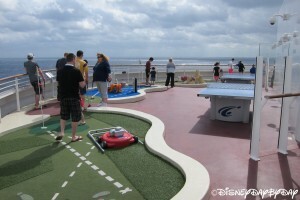 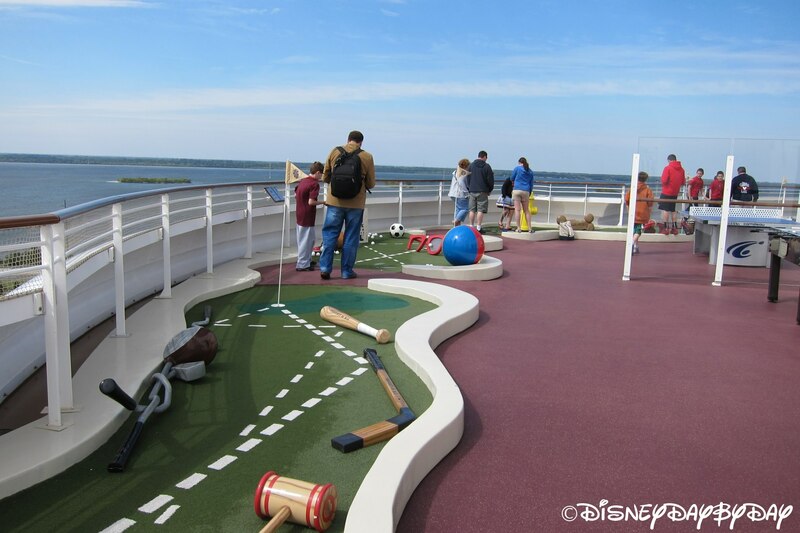 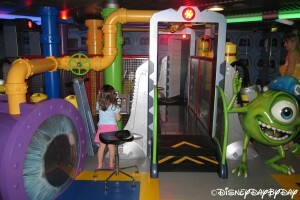 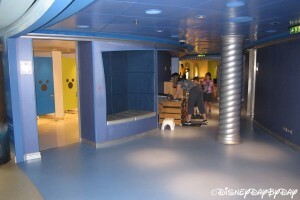 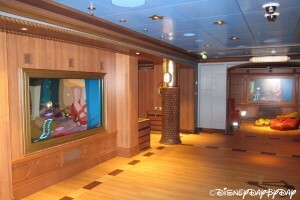 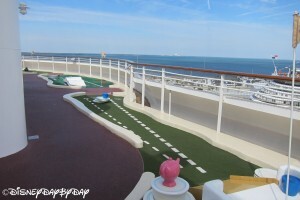 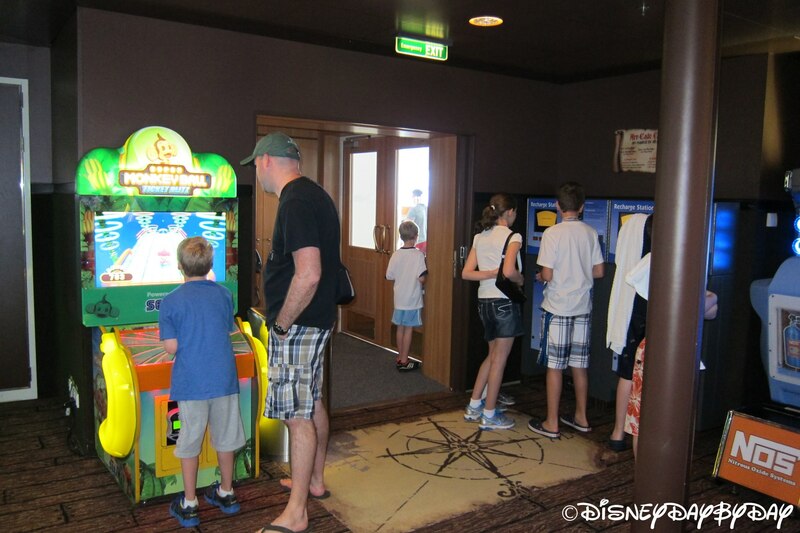 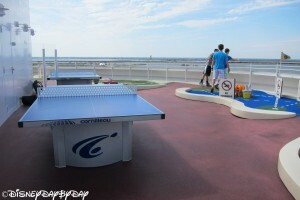 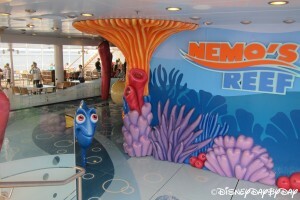 There are a lot of great areas on the Disney Fantasy to have kids work off some of that energy. 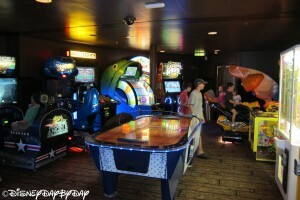 Located on Deck 11 Aft and better known as the Arr-cade. 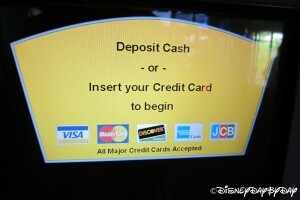 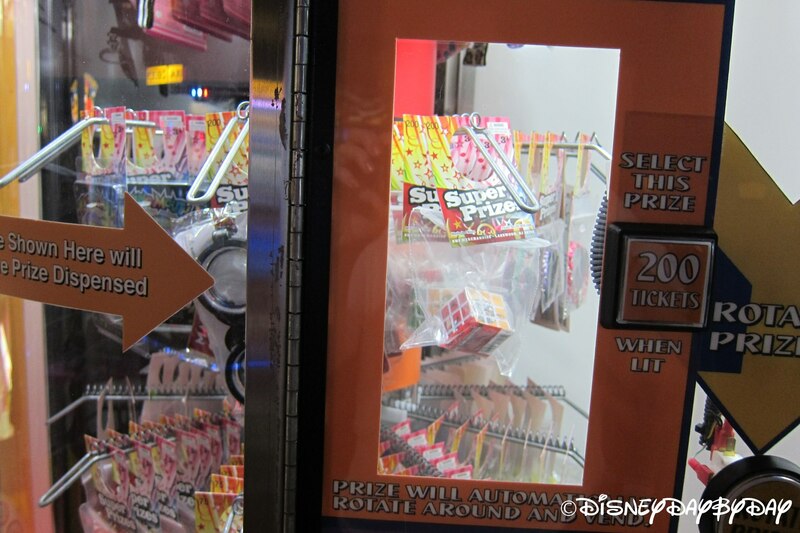 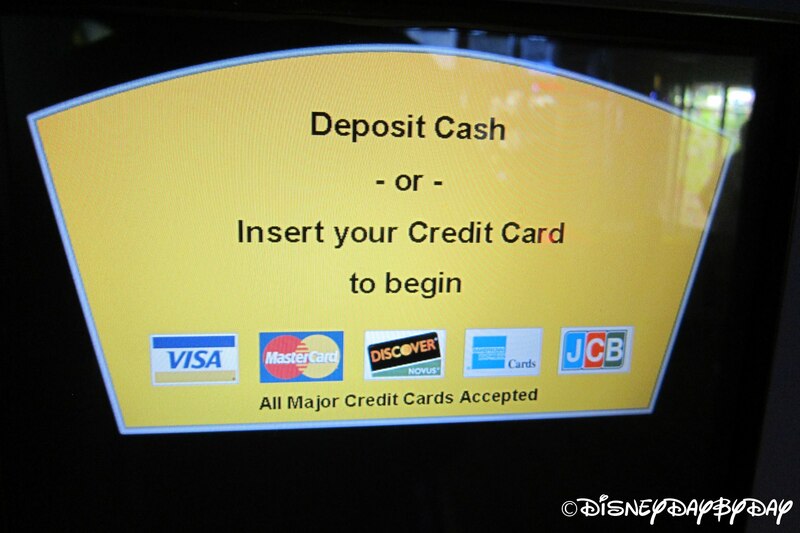 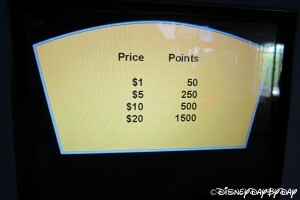 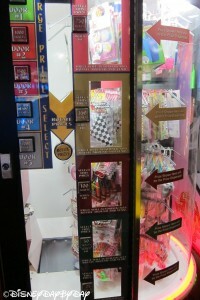 A card can be purchase to activate the games and also to store the tickets you win. 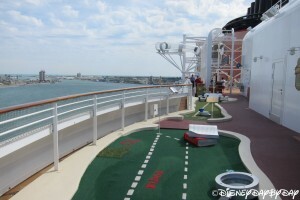 Located on Deck 13 Aft, this is a great 9 hole par 3 course. 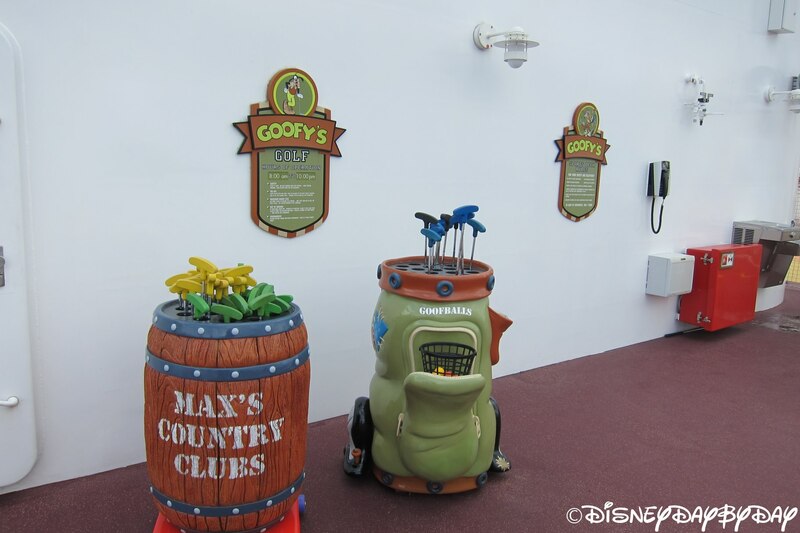 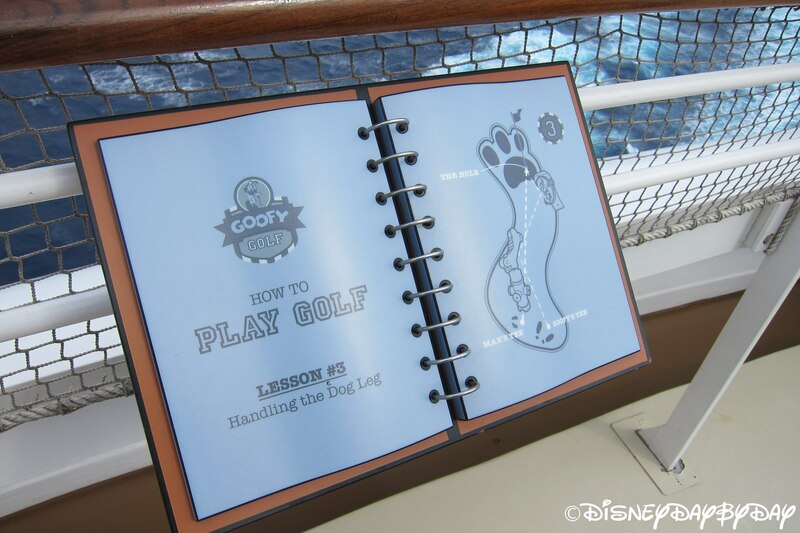 You have two starting options at each hole labeled “Goofy” and “Max”. 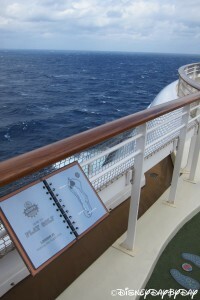 Located on Deck 5 Midship, this is an area for those aged 3 – 7. 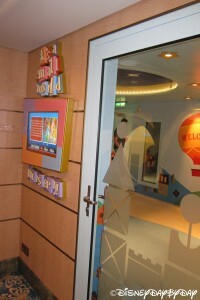 Lots of activities and areas for the kids to have fun. 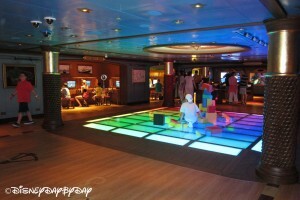 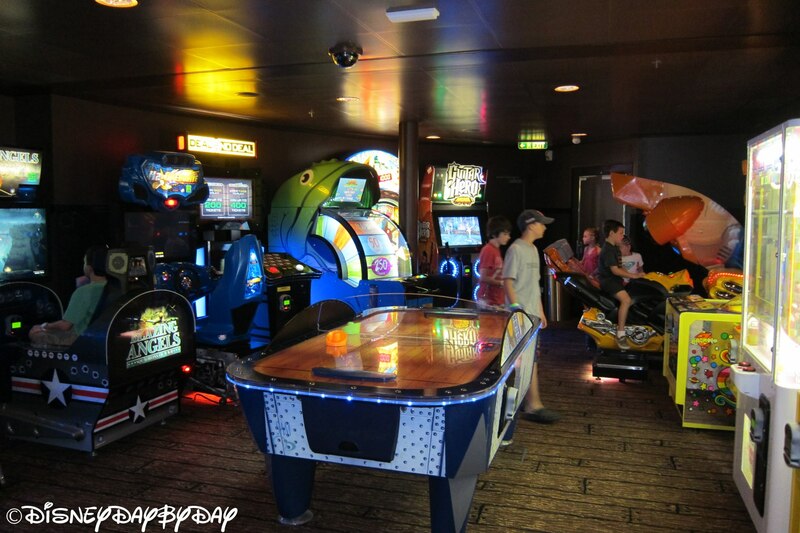 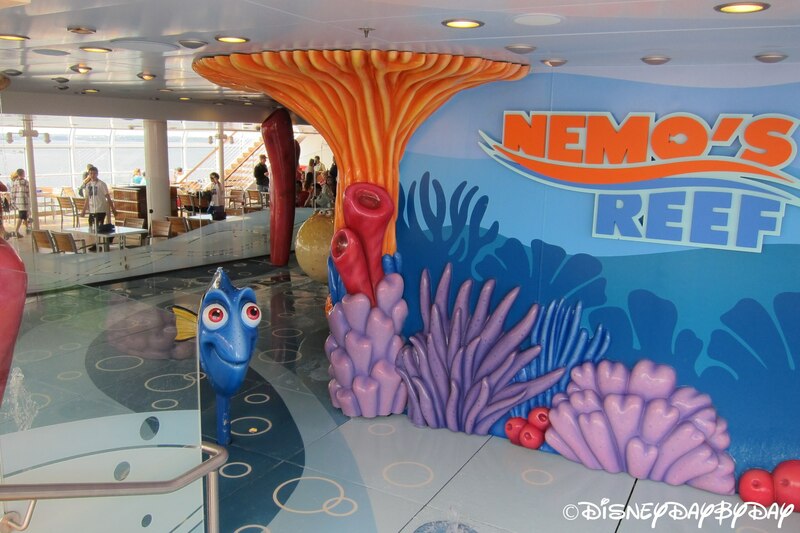 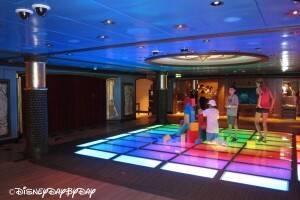 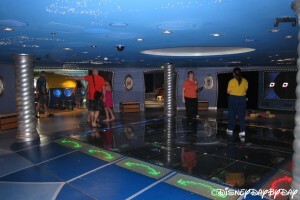 Located on Deck 5 Midship, this area is intended for those aged 8 – 12it includes more computer game areas and fun activities including the magic floor, our sons favorite.